3-button vs. "3-roll-2" vs. "2 1/2"??? Discussion in 'Classic Menswear' started by frankie lee, Sep 5, 2006. Help! I obviously know what a 3-button suit is, but I don't know the difference between a 3-roll-2 and a 2 1/2. Can someone explain? I'm thinking of getting the suit linked below but didn't know how it would look if I buttoned only the middle button (and left the top one unbuttoned). How can you tell when you're "supposed to" button the top button and when you're not supposed to? Thanks! A 3-roll-2 is where the lapels on a 3B suit roll naturally down, covering the first of the 3 buttons so as to appear as a 2B. I have never heard of a 2 1/2. Generally speaking, it is always safe to button the first or middle button, but never the last button. At a certain point, the lapel roll on any coat &quot;ends&quot; and the facings turn back under the coat after having been visible from the gorge on down. On a 2 1/2, that end happens halfway between the top and middle buttons of a 3 button coat. On a three-roll-two, the *back side* of the top buttonhole will be finished, whereas the traditional side will be less well done. This is done because the lapel roll makes the back side of the top buttonhole visible when the jacket is buttoned correctly (In DocHolliday's 3rd picture, it's the back side of the top buttonhole that faces the camera). I see. Thanks for the illustrations; is it possible to alter a jacket from a three button to a 2 1/2? Thanks! I like Doc's picture of the "2 1/2." So if you have a 3-button suit and you only button the middle button, will the lapel naturally roll to make the suit effectively a 2 1/2? 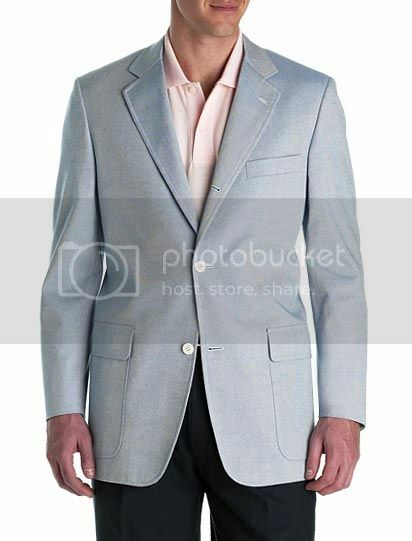 Or will the lapel maintain its shape, ending just above the third button? I guess what I'm hoping is that I could wear this suit as a "2 1/2." 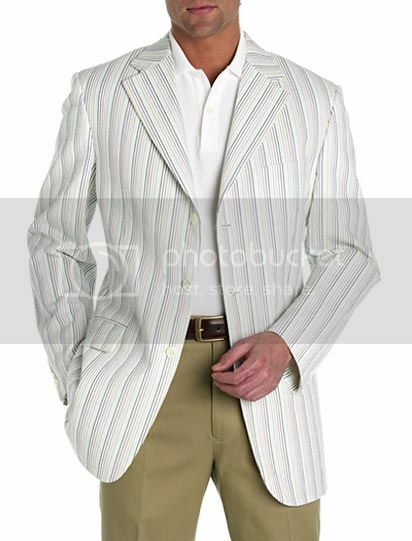 In my experience, it's hard to make a jacket conform to an unnatural lapel roll. I believe the canvas is cut and installed to enforce a specific lapel roll. If you can't try on the jacket and/or see the bottonhole stitching, the only way to tell the proper buttoning is to trust that the if the online picture looks natural, without unusual puckering, then the jacket is probably buttoned the way it is designed to be worn. Depends on the lapel. The true 3 above would roll the same whether you buttoned the top or not. With it, you don't have to button the top, but it won't change where the roll ends if you don't. With the 2 1/2, buttoning the top would create a flatter, less-appealing roll. This one, I imagine, would be a good candidate for your purpose. The 2 1/2 above (a Corneliani) looks much the same as this when the top button is buttoned. Doesn't the picture clearly show it's a three button without any roll? What's the logic/origin of having a three button if only two are meant to be used (in fact, if the last isn't to be buttoned, only one would be used)? Though I have (and have had) such jackets, I have never understood why that is. Can anyone shed any light on the subject? As I understand it, it has little to do with button placement and everything to do with working well for certain body types. Traditionally, 3 button suits worked well for taller men, but these days we see a regression in such traditions. As for the last button never being buttoned, that has to do with maintaining the jacket's overall shape. Buttoning the last button or all buttons can sometimes have a pulling effect on the waist, which would disrupt the jacket's position on the wearer. At least that's been my experience. Without writing a discourse, most of the buttons found on men's tailored clothing are there to remind us where our coats came from. Lapels were originally meant to close the front of the jacket in cool weather, and the buttons kept it closed. 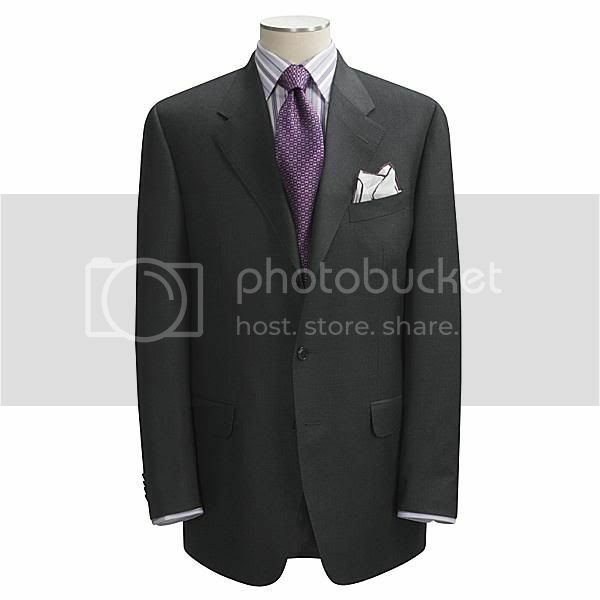 The classic English three button suit had only the center button buttoned. The bottom of the coat is cut so that the lowest button cannot be closed without destroying the line of the jacket. That coat devolved from a four button jacket worn fully buttoned outdoors, and often closed at the neck as well. Certainly answers a question of mine.